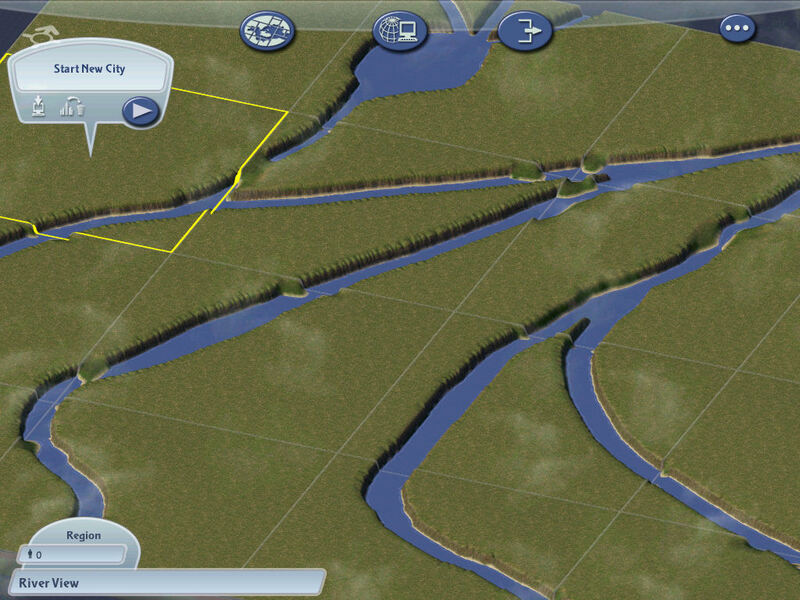 I love the sandbox style of SimCity game play so much. I think it stems from the same reason the developers implemented the tilt shift effect. They said they wanted to make it as if you were controlling your own little model city. When I was a kid, I had a model train set, and literally had my own little model city (er, town). I had my own little houses, trees, and grass you would sprinkle on the mountainside. (Did you know they even sell tiny plastic beads you melt down and pour on your town to create streams, lakes, and rivers? It is amazing how realistic it can look. ) That one thing drew me into the SimCity franchise. I was a little over 10 when SimCity 4 came out. It felt like I was creating the ultimate simulated train set. Yet it seems so odd to me that terraforming, and the ability to create your own region (a big part of that create your own town process) has been remove out of the game. I really thought that aspect of the simulation would be included upon, with seasons, different climates, streams, etc. Furthermore, regarding the management of resources from one city to the other, being able to experiment within a region considering where one would place mass transit seemed like something you would not want to have predetermined. It takes the freedom and creativity out of the sandbox aspect of the game. I do not just want to create a city; I want to create the backdrop from where it rests. I want to mold the mountainside, and carve the coastline, leaving my own original fingerprint on the model world I create. Finally, concerning city size: I understand cities are a little over 1×1 mile in size because of computing power, but if my computer can handle a larger area of computation, may I have the option to choose a larger city size? Beyond that, many small towns are larger than 4 square kilometers, yet have less than 10,000 inhabitants, and would be easy to simulate. Take Vashon Island for example. I used to live there, and it rests in the Puget Sound just across the bay from Seattle, WA. It’s the size of long island, yet houses only a few thousand inhabitants. I feel like having long winding roads in a small country town would be impossible with the current size requirements, and really, hope the team will reconsider giving us more options concerning terraforming (in SimCity 2013), as well as city size.